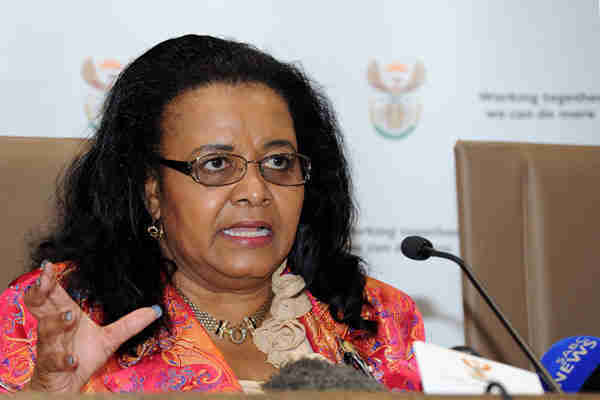 Five months ago Edna Molewa, South Africa's Minister of Environmental Affairs, announced the "Strategic Rhino Management Plan." 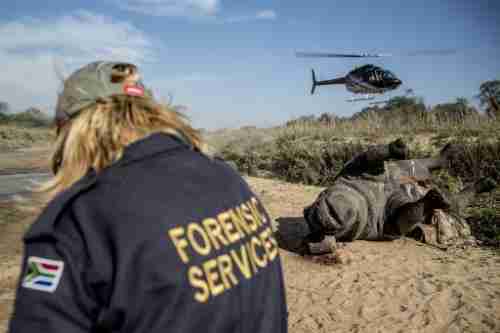 It comprised elements of better intelligence and law enforcement involvement, strengthened anti-poaching efforts, and translocating rhinos into safer zones. The program is ongoing and continues to be a success. 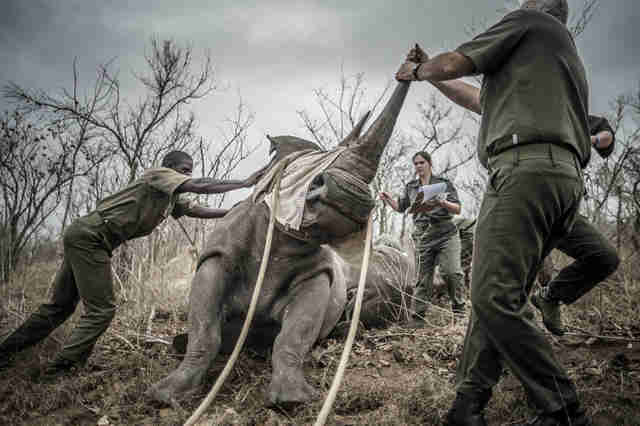 In the last quarter of 2014, 56 rhinos had been moved out of poaching hotspots and translocated from certain areas within the Kruger National Park (KNP) to an Intensive Protection Zone (IPZ) as well as well as to other more secure areas. Twenty bids were received during the South Africa National Parks (SANParks) tender process for the purchase of white rhino from the Kruger National Park. 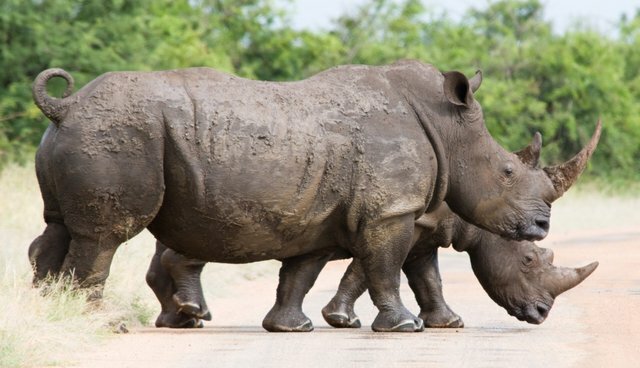 Proceeds from the sale of rhino will be allocated to a ring-fenced fund that will be ploughed into conservation projects, including rhino conservation. Security and habitat suitability assessments are to be carried out following site inspections at the properties owned by the leading bidders. During 2014 there was increased collaboration between provincial, national and international law-enforcement agencies, as well as the criminal justice system and prosecution service. Protection Zones, including the Intensive Protection Zone (IPZ) have been set up and are fully functional. An Intelligence Working Group on Illegal Wildlife Trade (IWG), coordinated by the National Intelligence Coordination Committee (NICOC) has been established and has started work. Space for the South African Police Service (SAPS) Environmental Forensic Laboratory has been identified. Funding has been transferred to the University of Pretoria Veterinary Genetics Lab to increase capacity to process rhino DNA routine samples and to cover the costs of DNA kits. Forensic trailers have been procured and are in the process of being fitted with equipment and branded. The number of alleged poachers, couriers and syndicate members arrested has risen from 343 in 2013 to 386 in 2014. A conviction rate of 61 percent was secured - a figure we, as well as the Department of Environmental Affairs (DEA), remain confident will be improved. At the end of October 2014, with six months to go, the conviction rate stood at 50 percent. In addition there was mention of additional "training programs" at the airports and with magistrates, as well as community involvement initiatives. "We as the Department of Environmental Affairs remain confident that the integrated strategic management of rhinoceros plan is bearing fruit. As we count the cost not only in terms of financial costs, but also loss of human life and risks to national security; it is important to re-emphasize that South Africa and other countries impacted by these activities, cannot win this fight alone."